Website development creation – copy editing, graphic design, IA, art direction, product photography, Visual Branding. 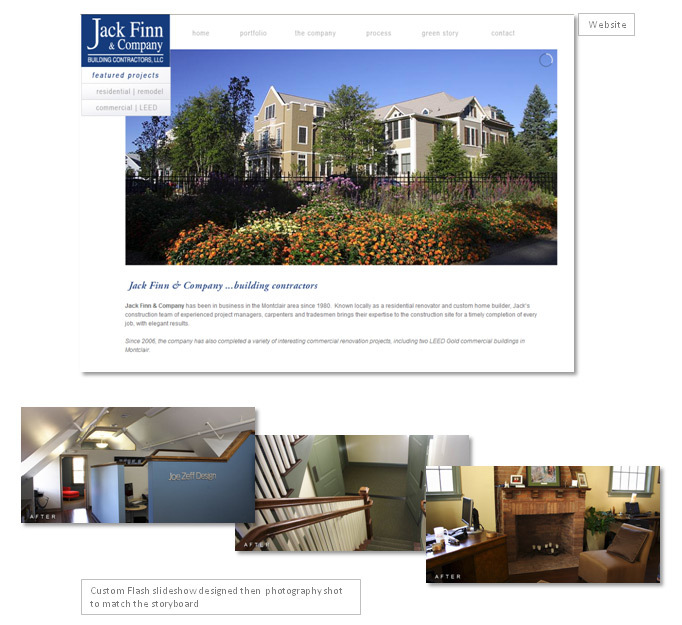 The goal was to create a website showcasing Jack Finn & Company's extensive portfolio of building projects in an elegant manner. Interactive content editing, Flash player portfolio design, product photography, AD/photo selection and cropping, creation of the Academy square visual story, graphics, page layout, java script interactive add-ins.